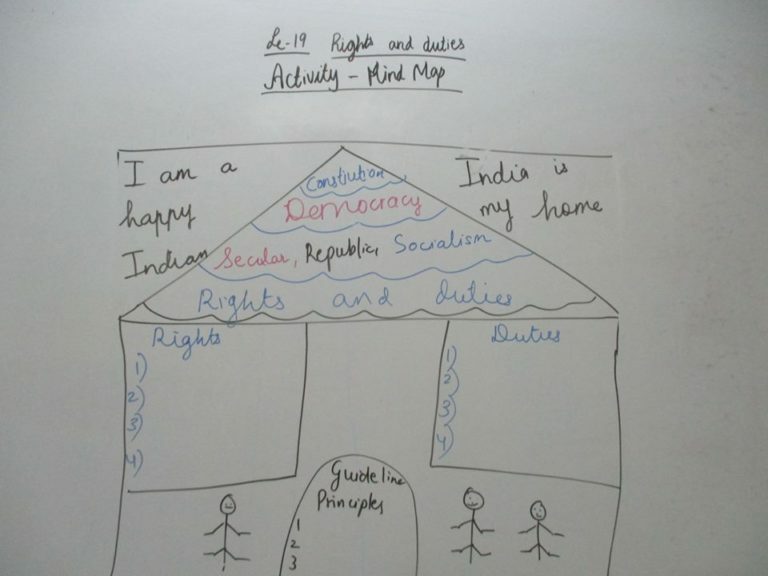 Grade 4 – Social Science Activity – Rights and Duties. I am an Indian. I have now learnt basics of my constitution, democracy, rights and duties of an Indian citizen. The young fourth graders understood this concept with a creative and different mind-map activity. India is my home and I am a happy Indian!!! !